Exposing seal clubbing in Namibia, Madagascar’s “tortoise mafia”, hanging with anti-poaching teams and investigating wildlife crises worldwide – environmental photojournalist Aaron “Bertie” Gekoski has put himself in harm’s way many, many times for the sake of conservation. Or shall we just call it morality? 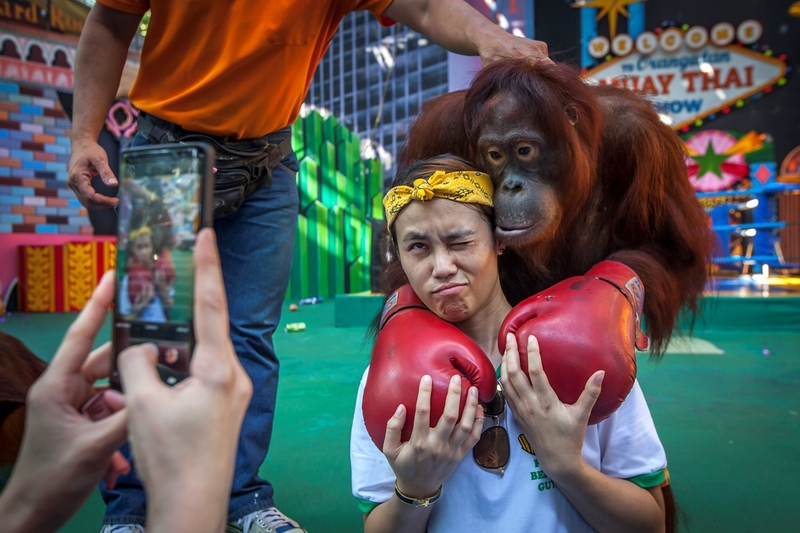 When he recently spent time in Thailand, exposing some of the horrific conditions animals are subjected to for humans’ pleasure, I was really worried for him. Being chased by a truckload of seal clubbers would have ended badly had he and his mates not made it across the border into South Africa but, with big money feathers being ruffled, Aaron and director Will Foster-Grundy could easily have been “disappeared”. Thankfully that didn’t happen and Aaron’s bold, compelling expose hit the UK tabloids- The Sun, The Mirror, Huffington Post and others in April 2018. The results have been tangible. 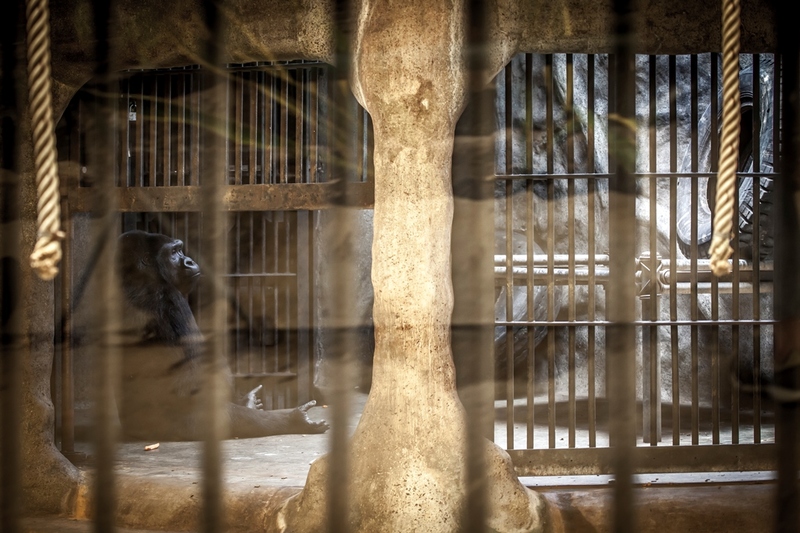 Last time I checked, at least one Thai zoo had not had its operating license renewed while Aaron’s crowdfunding campaign and petition gathers momentum, hopefully allowing him to investigate further. In an industry worth approximately $250 000 000 per year with over 100 million visitors, there’s a serious dark side. I’ve just returned from documenting Thailand’s Wildlife Tourism industry. As an environmental photojournalist and filmmaker, I have spent the last decade observing the cruelty humans do to animals. Yet what I witnessed in Thailand was beyond the pale; a level of abuse that has no justifications. And the public needs to be made aware of it. 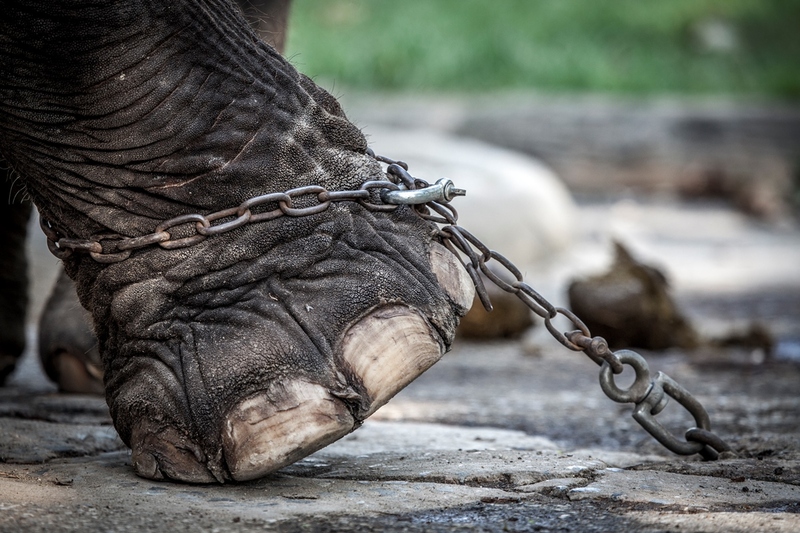 Worldwide, more than 500,000 animals are suffering for the sake of entertainment. 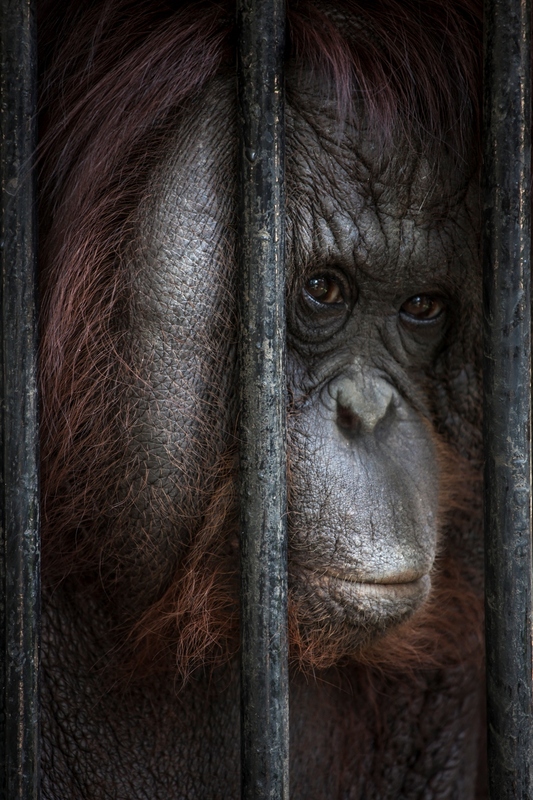 Many of them have been stolen from their families in the wild to lead a life in captivity. Here they are dressed up, humiliated and forced to perform on a daily basis. 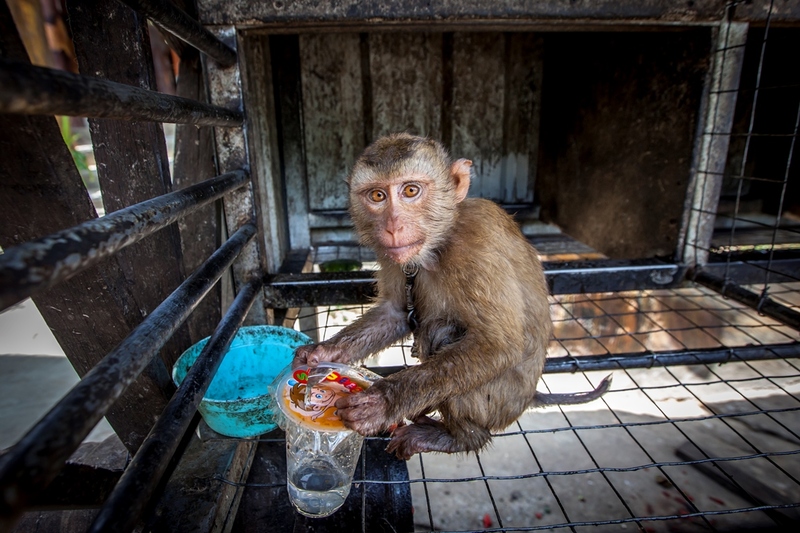 Behind the scenes they are beaten and forced to live in appalling conditions. The situation in Thailand is truly shocking. 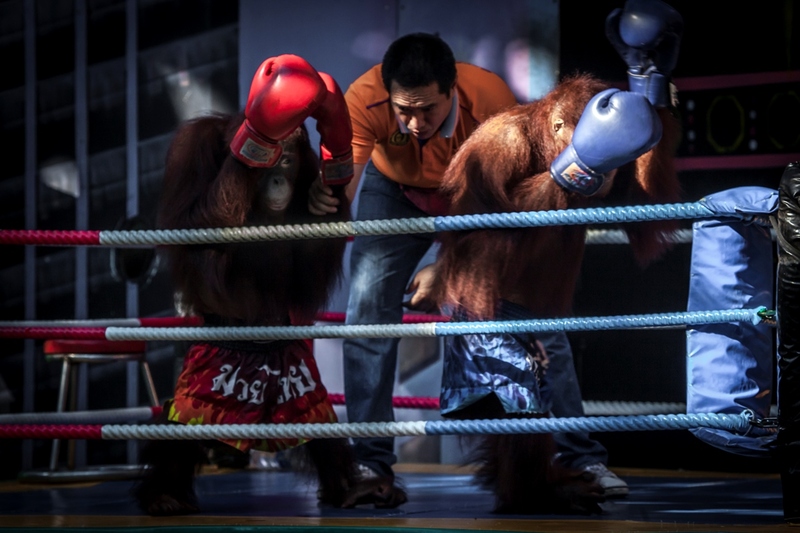 Alongside director Will Foster-Grundy, I saw orangutans wearing bikinis forced to box one another, elephants so drugged they could barely walk, a gorilla living in a filthy cell at the top of a shopping mall and monkeys yanked around on chains, before being made to ride bikes or lift weights. 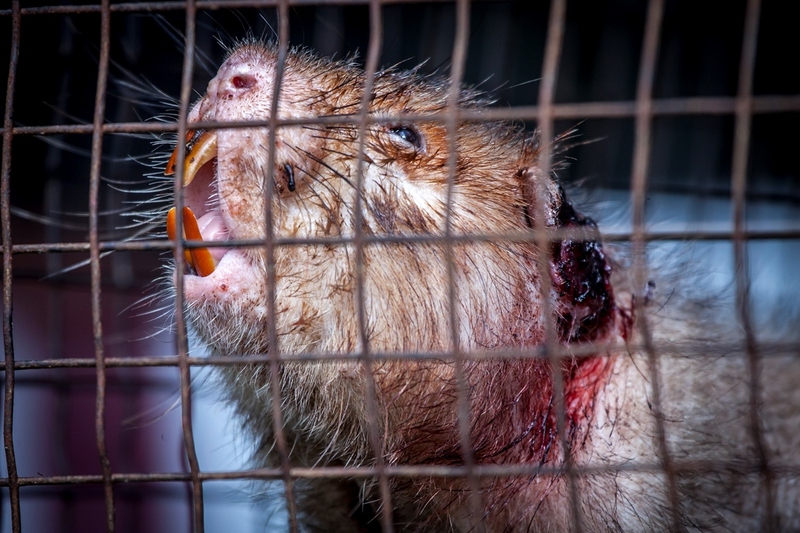 During training, many of the animals will have been subjected to beatings, burned with cigarettes or electrocuted to make them completely submissive to their handlers. Many elephants will go through ‘The Crush’ as juveniles – a form of torture that literally breaks their spirits. It is one of the most horrific forms of animal abuse imaginable. Yet, bizarrely, these shows also prove to be quite popular. 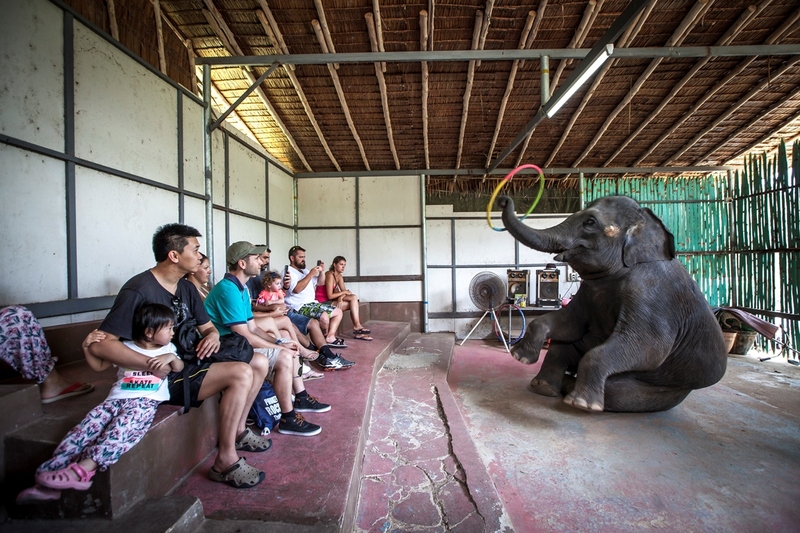 Hundreds of tourists laughed and clapped and appeared to enjoy watching these beautiful, sentient animals forced to perform grotesque routines. We want the world to know that these scenes are far from amusing. But now we need the public’s help to spread the world. 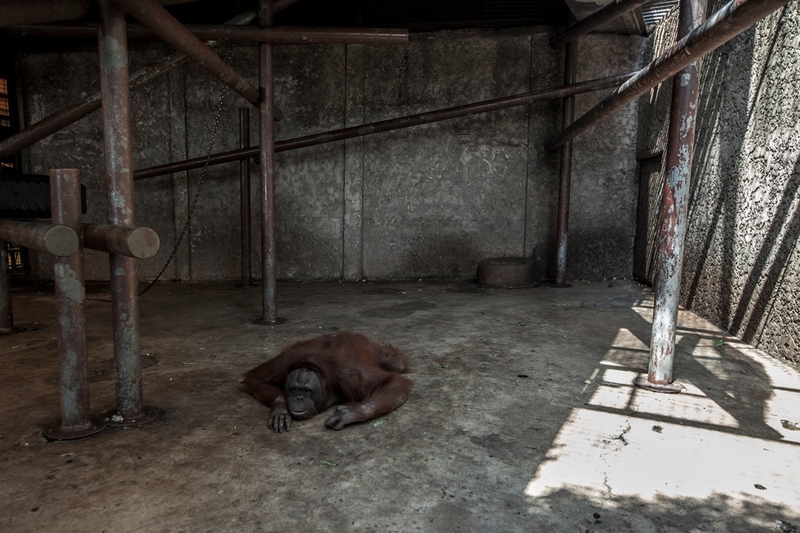 We want the millions of people who view these tourist attractions every year to be aware of the abuses that are happening in front of their eyes and behind closed doors. 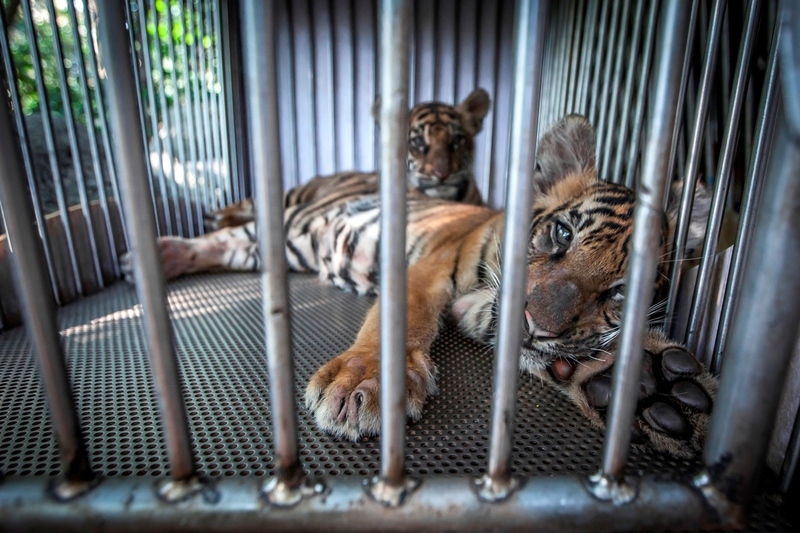 The lives of animals are at stake, which is why I’ve set up a GoFundMe to return to Thailand with a small crew to produce a documentary on the country’s cruel Wildlife Tourism attractions. You can help us out and donate here for now. But that’s just the beginning. If we’re successful we want to visit other countries and create a global platform so users can #raisetheredflag on cruel Wildlife Tourism. Review sites don’t always reveal the truth. 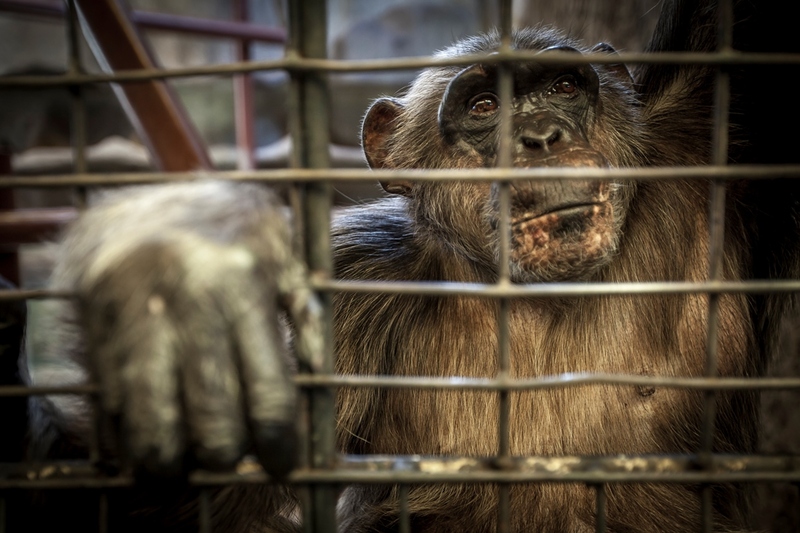 We can stop animal abuse – but only if people vote with their feet. The goal of the film is to highlight the impact of irresponsible wildlife tourism. We will investigate how animals are mistreated: the training methods used, the unsuitable conditions they’re kept in, where they’re be sourced from etc. 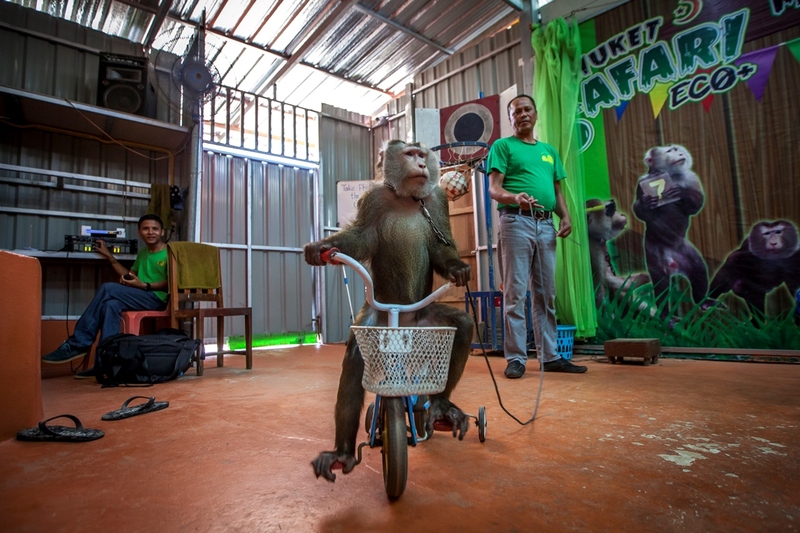 We will also introduce the people and organisations who are tackling the industry, including the rescue and rehab centre Wildlife Friends Foundation Thailand, along with visiting some responsible operators who offer a blueprint for the industry. The goal is not to end all wildlife tourism – this will never happen – but to encourage better treatment of animals, whilst making the public aware of the broader issues. If tourists knew how an elephant was domesticated, for example, would they ever ride one again? That’s our role as documentary film-makers: to present the facts and then let the audience decide. Aaron is a winner at this year’s Natural History Museum’s Wildlife Photographer of the Year.